We quickly implemented Jeanne-Marie’s advice and not only did the tantrum cease, but the woman in line in front of us turned and said ‘I am a Kindergarten teacher and what you just did was fabulous! Parents don’t know how to discipline anymore and that was wonderful to see! Jeanne-Marie was born in Tunisia, spent her childhood in Paris, and her teen years in Washington, D.C. The daughter of Perdita Huston, author and human rights activist and Dr Yves Champey, she was very much influenced by her parents worldly views and humanitarian work. 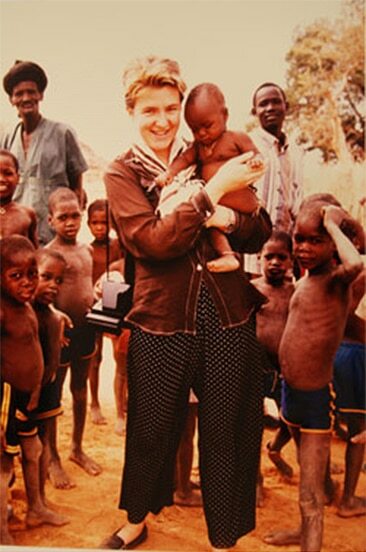 Her multicultural upbringing and travels, planted the seeds of a lifelong curiosity regarding the fundamental needs of children and families worldwide. Although she obtained a degree in Studio Arts and pursued a successful career in advertising (first in Paris, where she met and married her husband, and then in San Diego), her interest in children’s development never waned. 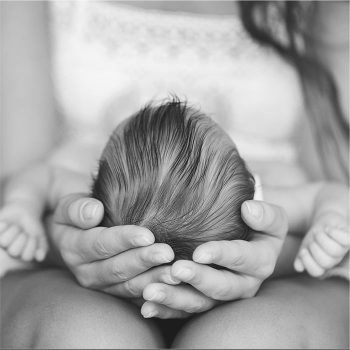 While pregnant with her first child, she read Dr. Montessori’s work “The Secret of Childhood”. This book helped Jeanne-Marie understand the importance of encouraging her children’s independence and natural curiosity, and eventually guided her towards a mid-life career change. Not feeling satisfied with her role in the corporate world, Jeanne-Marie questioned her real purpose in life and found that it stemmed back to her interest in young children and their families. She discovered that one of the country’s best Montessori teacher training centers was conveniently located in San Diego, and the very next day quit her job and went back to school as a forty-something full-time student of the Montessori method for children between the ages of 3-6 (Primary). From that day on, her life had a purpose and what she learned during the course reaffirmed some of her parenting decisions and made her question others. As an inexperienced young parent, Jeanne-Marie had experimented with different parenting approaches, used trial and error, and listened to lots of ineffective yet well-meaning advice. Now, with a deeper understanding of the Montessori approach, she realized what a useful tool it could be for other young parents who were trying to cope with the challenges of raising children. Jeanne-Marie was invited by the training center to open a new classroom for Primary children. This incredibly challenging opportunity provided a wealth of new knowledge regarding children’s development, and parents’ expectations. Jeanne-Marie always encouraged parents to observe in the classroom; when adults realized what their children were capable of, they seemed hungry for information and guidance and often wanted to know how they could support their children’s growth outside of school. Jeanne-Marie knew that a large part of her students’ development took place at home, and wanted to learn more about the first three years of a child’s life in order to better prepare parents to guide their children. After six years as a Primary guide, Jeanne-Marie enrolled in the Assistants to Infancy course, which covers Montessori philosophy and practice for children from birth through the age of 3. A parent of two children, Jeanne-Marie launched Voila Montessori in response to the overwhelming demand from parents for advice and guidance for raising children in a gentle, peaceful, and supportive environment that’s conducive to their full development – psychological, academic, artistic, spiritual, physical, cultural, etc. Families who work with Jeanne-Marie reap the benefit of her two AMI Montessori certifications covering childhood development from birth through age 6, extensive classroom experience, and first-hand parenting knowledge. Jeanne-Marie describes herself as “genuine, passionate, and straightforward”. She’s honest and direct, because she realizes that clear and precise information is what will help parents cut through the overwhelming amount of advice that engulfs them. It would be my pleasure to share with you my passions, thoughts and knowledge on parenting the young child with joy and confidence. Click below to inquire about my public speaking.